Responders from various agencies converged on the site, which forced a closure of both westbound lanes on I-70, as well as both eastbound lanes on I-70 for roughly an hour. As of 5 p.m., one lane heading westbound has opened to traffic, according to CDOT. A helicopter was called in for aerial support and water bucket drops on the fire. The water is currently being taken from the Colorado River immediately adjoining I-70 in the area. 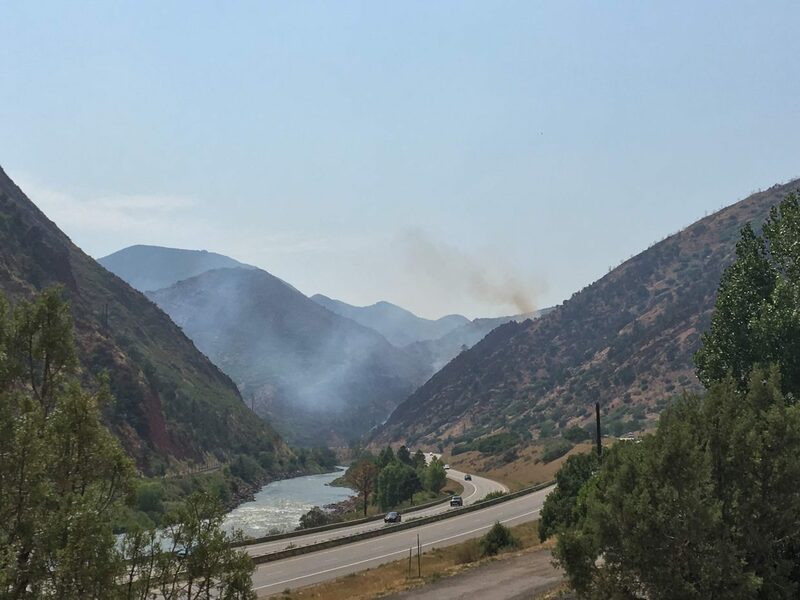 The efforts of the local firefighters have allowed reasonable control of the existing fire area and have stopped the previous spread, according to the Garfield County Sheriff’s Office. Operations are expected to continue into the night to minimize the possibility of any flare-ups.